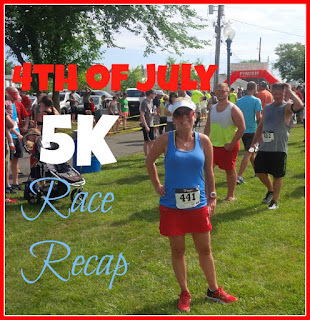 On Monday I ran the July 4th race that was being held in a neighboring town. I've been wanting to run this race for a few years now but have never been home to do so. I heard this race was a pretty big deal and there is always a large turn out. That was absolutely true! I had to park a street away from where the park was where the race took place and as my friend and I were walking down the street I made the comment, Is there a parade? Because people were just lining up and down the streets with lawn chairs. And then I said, Oh, I guess WE'RE the parade! The park sits right along a portion of the rail trail, so we had enough time to do a little warm up on the trail before heading to the start. Then it was start time. I could tell that I didn't go out as fast as I did at the Relay for Life 5K last month. The course was through the park and then out on Main Street. I was running at a pretty consistent "feel good to me" pace and not trying to keep up with anyone. As I approached mile one, I looked at the clock and was super surprised to see how well I was doing. I thought for sure the clock was lagging behind a bit so I checked my own watch and low and behold I was doing real well! That didn't last long though because a little after mile 2 we approached a HUGE hill. I know I said out loud You've got to be kidding me! I was not expecting that! There was never a map of the course posted but I knew right where the park was and I remember the surrounding areas to be flat. Well, I didn't realize that the course would take us this convoluted way over what seemed to be a mountain outside of town. I was trying to run up the entire hill without stopping. I kept pushing myself because I knew if I would take the time to walk, I would be kicking myself at the finish line if I came in a few seconds later than I had hoped. WELL, when I saw the majority of the people around me walking, I just figured why not? Why try to be a hero? So, I ended up taking 3 very short walk breaks AND stopped at the water stop and had a drink. Yes, I did end up kicking myself in the end but at the time, those breaks were totally worth it. Okay, so after the mountain it was all down hill. I heard people saying this is the easy part now! Even though the downhill was so much better than the uphill, I certainly don't feel like I picked up any speed because I had to run very controlled. I mean this was a steep hill and it was straight down! After the downhill there was a stretch of flat land where I was hoping to pick up a little speed. And then we came to a covered bridge that we had to run across. The surface of the bridge was metal grates and NOT ideal to run across. I really didn't keep my eye on my Garmin except for that first mile so I had no idea what to expect as far as a finish time. As I turned the corner to sprint to the finish, I noticed on the clock that I still had a chance to finish with in my time frame I had set in my head, but in the end, I was short by a few seconds. But ya know what, it was okay. My friend was waiting for me at the finish line and said that I did great. I immediately got a water and we found a shady spot under a tree and both talked about how tough this race was. My face says it all, doesn't it? I told him that this was a race that I would not be doing again. We later found out that my friend PR-ed at 25 minutes! I was so excited for him! After reflecting on this race, I actually would consider doing it again now that I know what to expect. The route isn't too far off the rail trail so I could probably try running it a few times for practice next summer. I know I say this now, but really what are the chances I'm gonna run that hill on a training run, umm, probably not. But it's a good thought I have! After the race we had some refreshments and watched some of the kids race before heading out. They had YELLOW Watermelon here (and no it wasn't rotten. It was suppose to be that color). I had never seen yellow watermelon before. Have you? I didn't have any though, I just had an orange. They had the community swimming pool open and everyone that ran that day was given free admission to the pool which we though was nice. Oh, and I wanted to mention that there were a TON of spectators and they were placed throughout the entire course (even on the hill)! 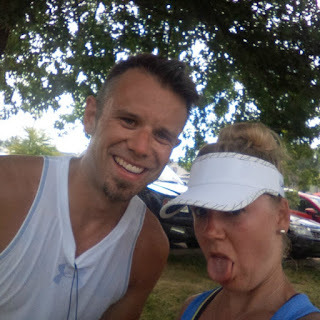 In the end, I found the Juxtaposition in the whole event in how my friend and I both thought this was the toughest 5K we've ever done yet I had my worst time and he had his best time. For that reason I'm linking this post up with Deb and her Wednesday Word! 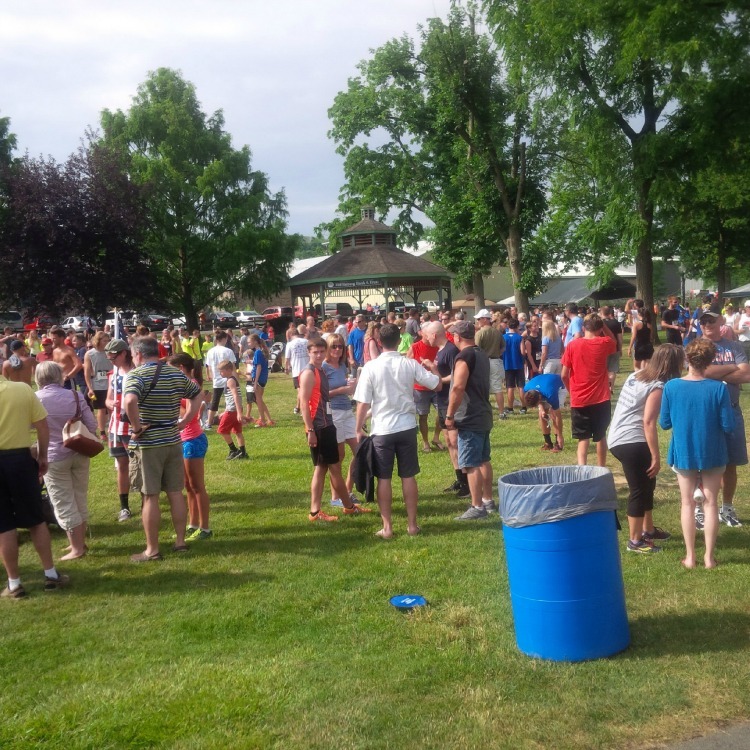 I love those local July 4th races. But boo to that big hill! Yellow watermelon? Why? What's wrong with pink? Yea, I would think the Red/pink watermelon would be more patriotic anyway, right? I've heard of yellow watermelon but never seen it in person - I wonder if it taste the same? I dont get why they choose courses with huge hills like that - I guess some people like it, but I would guess VERY FEW. & I'd not cared for that covered bridge with that surface. My friend said the watermelon was pretty good. I should have tried it but I wasn't in any mood to eat. Yea, I have no idea how they have such a large turnout each year with such a challenging course! I've heard of yellow watermelon, but I've never seen it. I'll stick with regular, thankyouverymuch. I didn't do a race on Monday, but I did get a run done early in the morning. It was a good way to start the day. A run is always a good way to start the day, right? Always makes me feel so accomplished! I'm so glad I was finally able to make this race work out this year! I know I really need to incorporate hills. I did I small one on my run this morning! The race I run on the 4th is challenging -- almost always hot, starts to late, and hilly -- with a great big hill at mile 3.5 (it's a 4 mile race). So why do I come back year after year? Because it's the best spectator support of almost any race in our area! And I have friends who do it too. Running friends make everything better. That's a good reason to keep running it! Oof - that sounds like a brutal race with the mega hill in the middle. I think it's great you'd consider doing the race again though - sounds like a fun one with all of the spectators! Yea, even though it was tough, it was fun. That is awesome that your race was the parade! I'm sorry to hear that you didn't finish at your goal time, but you got out there and gave it your all, that counts a lot! One of the most popular 5Ks in Chester County is super hilly, and it draws more people each year. I have never seen yellow watermelon! 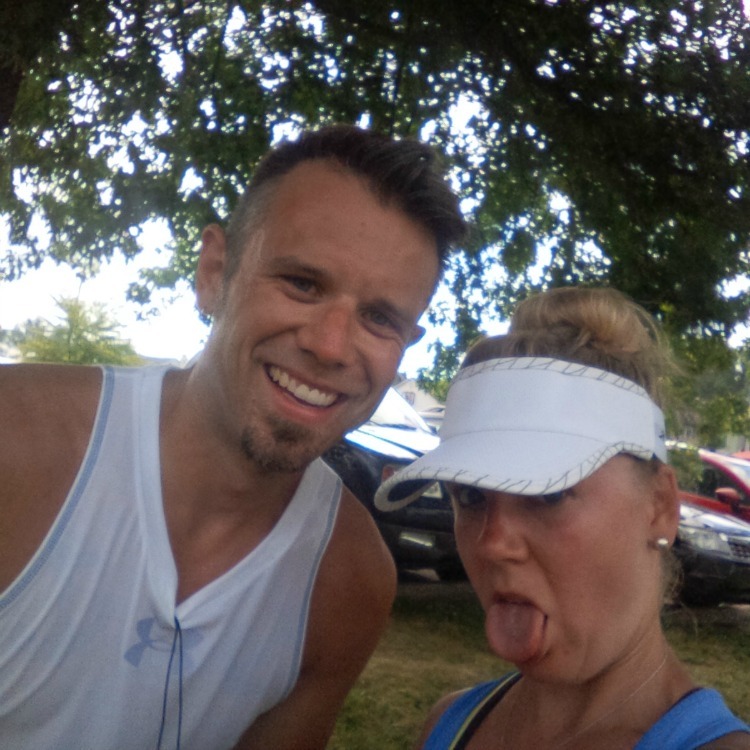 We had a local 4 mile race I chose not to run b/c the heat index on Monday was over 100 and humidity was 95%! That is certainly a good reason not to run! Way to go on your 5K! Great job pushing yourself and glad you got close to your time frame you had in mind! I find it hard to run over bridges with the metal grates too. Yellow watermelon? I have never seen it. Sounds interesting though. Running over a metal bridge like that and seeing the yellow watermelon were both firsts for me! Hey great job on a tough course! That is so cool you had so many spectators. That would have fired me up. :) Yellow watermelon- I never ever heard of it! Must have been refreshing! Great job on your 5K!!! I've never heard of or seen yellow watermelon!! I bet it's yummy! Yellow watermelon?? That's just un-American, and especially on the Fourth of July! LOL kidding, but hmmm...not sure I could bring myself to try it. LOVE that picture of you and your friend - so cute, and I've felt exactly the same way after a challenging race. At least you still look good! I LOL'd at your "mountain" description - that's how I view hills, too. 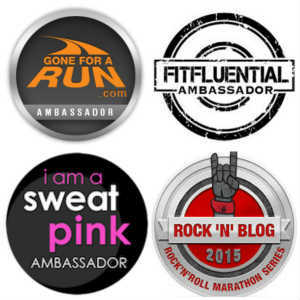 Sounds like you did an awesome job considering the route! I like going up hill but hate coming down. I pass everyone on the way up and everyone passes me on the way down. I am afraid of falling. I have never seen yellow watermelon. Wonder what the taste is like ? So sorry about the hill and the crazy bridge! Awesome job on still finishing within your time frame, though!! I love when holiday races have big spectator crowds! It IS like being in a parade! I don't at all blame you for walking. Huge hills on hot runs? I'm all about walking up! I'm glad you had a good time and a good race! Oh, and the watermelon...I've never had yellow before but I LOVE watermelon after a hot race. I'd have totally tried it! This is the first race I've ever seen watermelon at! I bet it was refreshing! Your face in that photo definitely does say it all! 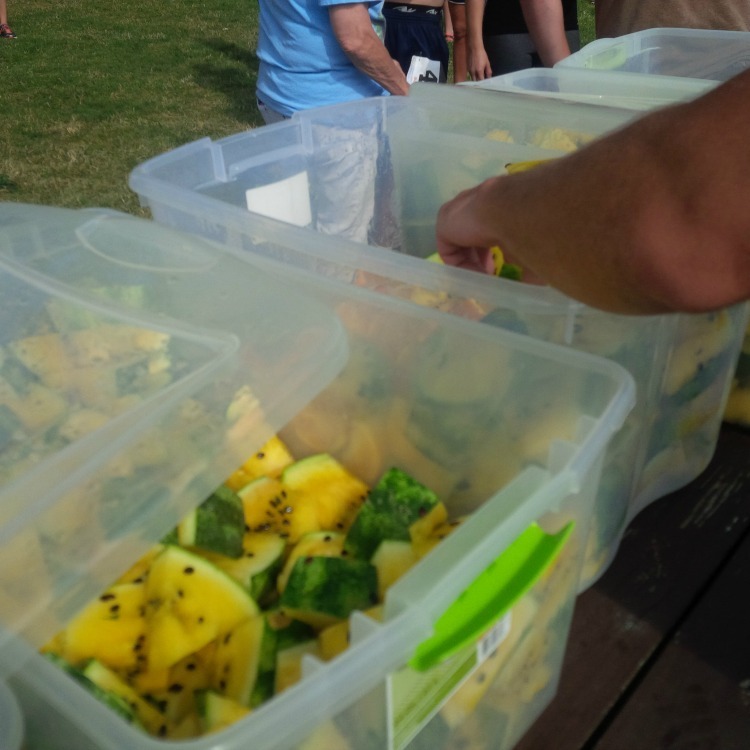 How funny about the yellow watermelon, I just tried it for the first time at a work picnic last week. It was pretty tasty. I actually just did some research on yellow watermelon cus I wanted to see what I was missing out on, and I found that it is much sweeter than red watermelon. I wish I would have tried it! I ran on the 4th but it was just a training run 😊 That race sounds like a beast! Way to push through! And in not sure that I'm brave enough to try yellow or orange watermelon... I'm not a big watermelon person! 4th of July races are always so much fun. This was the first year in quite awhile that I didn't run a race on the 4th - I just ran on my own. But at least I still ran! Yea, I try to avoid hills in my training but that certainly isn't helping me! I probably would have said the same thing about the hill! However, I love hills and I would probably include it on a training run! Interesting that you and your friend had different experiences at the same race! My aunt lives in GA and she was talking about yellow watermelon when they were up in January and I didn't believe her! I guess it really does exist! I wonder what it tastes like!!! I researched the yellow watermelon and it said it's sweet like honey! Oh, thanks for linking up this week! 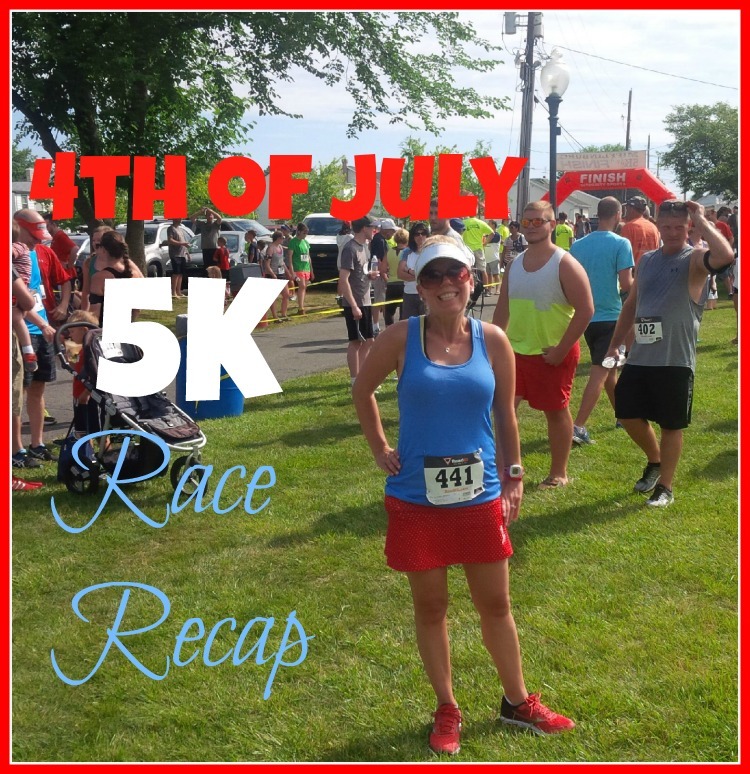 Yes, I run in a local race, the Firecracker 5K, every Independence Day. I always see lots of friends and have so much fun! It has some small hills, but now I know the course so well that I can't complain. I hate huge hills in a race. All three of my legs at my first Ragnar Relay had horrible hills on them! This hill was huge but now that I know about it maybe it won't be so bad next time! Congrats! Finishing a few seconds off your goal when there's a monster hill in the course is awesome! I'm getting myself ready for my first 5k now. I wanted to do one in my town on the 4th of July but it seemed just a little too soon for me, plus I know it's always a zoo. But, hoping I'll be ready for the next one. I enjoyed your post! Thanks for Reading Summer! 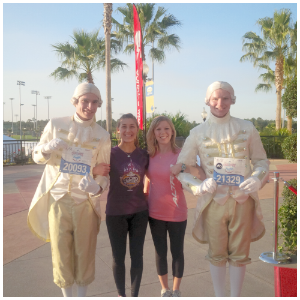 Good luck to you when you do your first 5k! Even though your finish time wasn't what you were hoping for...at least you had a finish time! I kind of like the tough races (such as this) because the course "levels the field" a bit ;-) And, although I may feel like a wimp at the time, I usually feel like a champ for having finished. Uggghhhh... I hate hills so much. Great job finishing on a hot, hilly course. And I have never heard of yellow watermelon. I have not had yellow watermelon, it looks kind of funny!